This entry was posted on Sunday, November 20th, 2016 at 6:17 pm	and is filed under Thucydides Roundtable, Thucydides Roundtable, Book IV. You can follow any responses to this entry through the RSS 2.0 feed. Both comments and pings are currently closed. Very well done – learned much from this post. I can’t remember whether I’ve mentioned Arnold Toynbee’s line on this, the idea of the great historians as ‘broken men’, men active in politics and war who are forcibly removed from the sphere of action and so turn to contemplation of the wreck of their own and their country’s fortunes. His list is of course very Eurocentric, but some interesting parallels. I am not sure why, but I have found that the ancient historians that seem to offer the most penetrating analysis, the ones who stick in heart and soul years after first encourtered, are those imbued with a great sense of tragedy. That might just reflect my personal tastes and sensibilities–but seeing how often folks like Livy are derided in favor of Polybius, this seems to be the general feeling. What lessons do the Herodotuses and Livys of the world have to offer posterity? Lessons can be found… but often against the author’s intent. The greatness of the Greeks! declared one; the greatness of the Romans! cries another. But he who lives to see the decline of his kingdom, or he who is forced to leave it in exile, cannot sing the simple song of patriot love and call it a day. They must explain not only why men do great deeds, but why they commit heinous errors. Contemplation of man at his worst often leads to man at his most brilliant. Excellent essay. I do not disagree, but Thucydides case is different — if not sui generis — because of the exile, is it not? Their being no real separation by race or language, I took the General a little more at his word that he adopted much from those who took him in during exile. Exile did not make Thucydides unique. 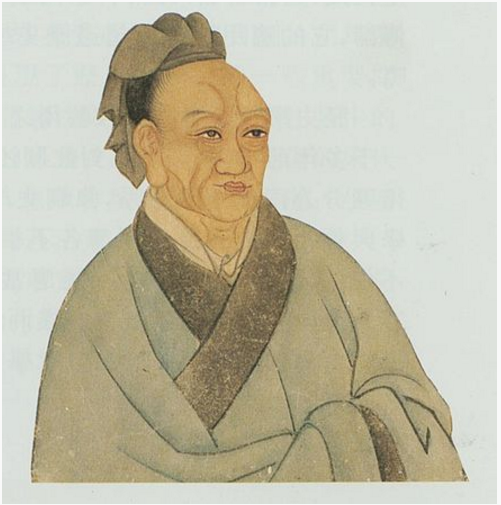 Sima Qian, as a castrato instead of a self-respecting suicide, was in a sort of cultural exile. Polybius and Josephus were both initially involuntary exiles, captured by Roman arms in the course of their homelands being subjected. Herodotus was in exile from his native Harlicannasus, if accounts are accurate. Hecataeus of Miletus, perhaps the Grandfather of History in the Western tradition, was seemingly in various states of exile during the Ionian Revolt. Exile or relocation was not unusual during the classical era. Pythagoras is a philosophic precursor to Herodotus, as are other ancient Hellenes at the root of Western tradition. Harpagus’ conquest of Ionia at Cyrus’ direction played a role similar to that of the Nazis in WWII: it drove the Ionians from there homeland which, prior to when the Mede came, was the intellectual furnace of the Greek world and permanently shifted that nexus of cultural creation from Asia Minor to the West until Constantine took up residence at Byzantium.